The ultimate accessory for your video iPod and the perfect way to enjoy Pirates of the Caribbean: Dead Man’s Chest. originally published on SEOrefugee also published by skitzzo.com. 2011 St. Louis Convention and Visitors Commission St. Lou isâ€¦4 Kids Activity and Coloring Book. 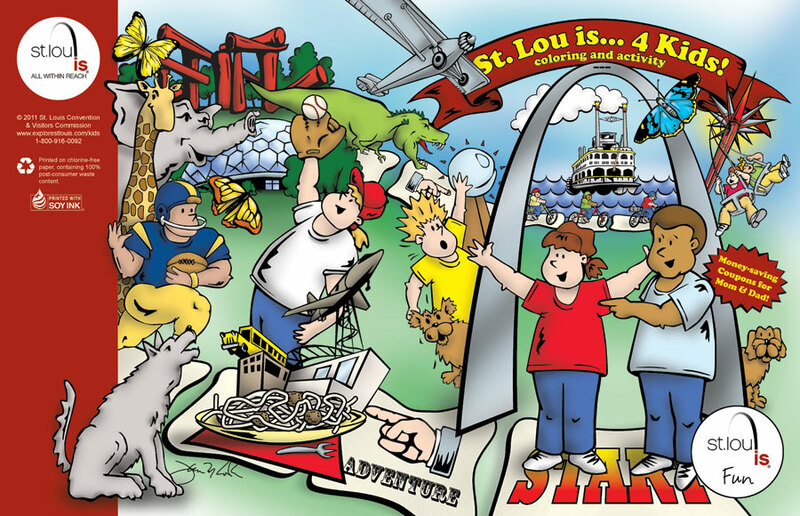 Here’s the cover from the 2011 St. Louis Convention and Visitors Commission St. Lou isâ€¦4 Kids Activity and Coloring Book I recently completed. The book will be distributed free to kids at several locations throughout St. Louis as part of the Convention and Visitors Commission’s ongoing efforts to promote family tourism in the region. And, if you hurry, you might also be able to find a copy of the 2010 activity book I created for them. 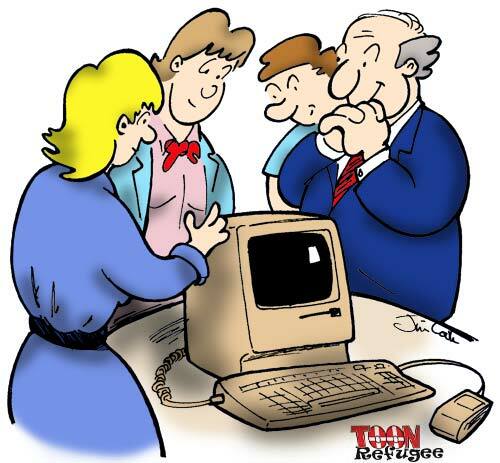 In honor of Steve Jobs who resigned today as CEO of Apple, I’ve decided to bump this old cartoon that symbolizes the excitement I and many others felt with the arrival of our first Mac. I’ve owned or maintained dozens of Macs over the years (good, bad and ugly) but my first, an SE, is still my favorite. I still own it and fire it up on rare occasions to play Tetris and muse about what HyperCard could have been. 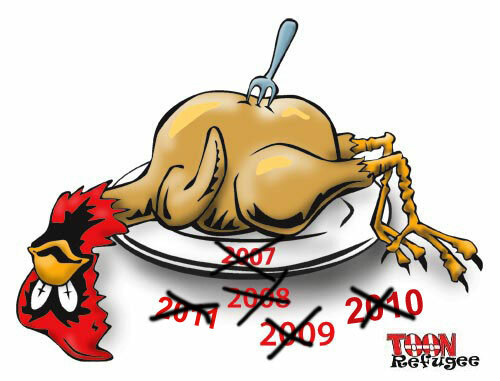 This was supposed to be the year? Learn that playing a team with a losing record is not considered an off-day. Double check the signature on item 1 above. And add to that, straighten out the bullpen! 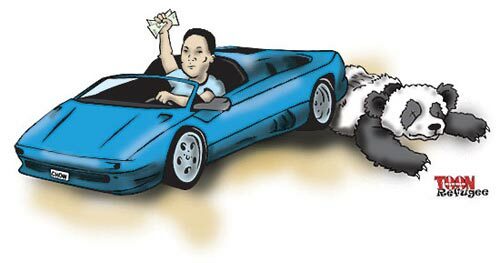 Given Google’s recent “Panda” update, I thought I’d revive this cartoon from a couple years ago featuring John Chow celebrating a victory over a fellow SEO. Spanked by the Chicago Cubs – Oh! The humiliation! Originally published July 30, 2006. Bumped for the historic Cubs sweep in St. Louis.